Shepparton has had a number of attempts at establishing annual festivals in the past, but none ever seemed to ‘stick’, so in 1994, Council employed a noted consultant to do a feasibility study on the town’s capacity to set up and run a sustainable annual festival event. As a result of the findings, it was recognised that there was indeed potential for a successful festival to happen and some broad guidelines were established, including the need to improve the availability of performances, concerts, arts events and so on, the need to build greater local participation and the need to find alternative locations for events, since Shepparton was not at that time blessed with ‘cultural facilities’ such as theatres, concert halls or other venues purpose built for presenting the arts. “Extraordinary events in familiar places” was adopted as an underlying theme. Shepparton’s food and wine industries and its cultural diversity were seen as strengths to build a festival around. A conscious decision was made to establish a broad ‘community/arts festival’, rather than narrow the focus to a particular type of music or art form. A volunteer community group, the Shepparton Arts Festival Inc., was established in May 1995 to run an annual community event for the Greater Shepparton area and spent the next 18 months planning the first festival, staged in 1997. Since then, the Shepparton Festival has been successfully staged every year and is regarded as a major calendar event within regional Victoria. It demonstrates that the region can successfully and enthusiastically support an event of this nature, as well as project itself into the broader context of other regional festivals. The diverse program achieves a balance between the innovative and the mainstream in a way that was calculated to appeal to a wide audience. There is an emphasis on mixing community created arts with professionally produced and performed work. 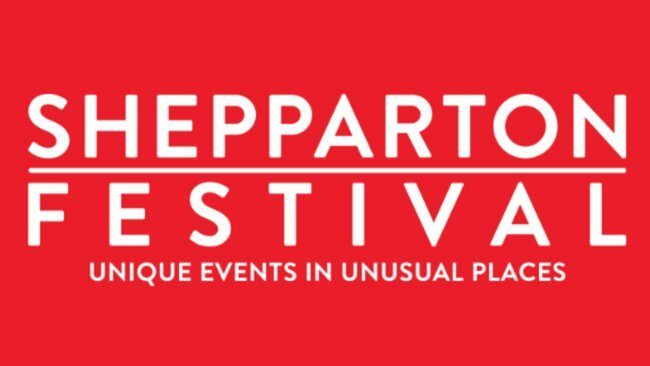 In particular, the Shepparton Festival has been successful in bringing professional artists to work with community groups in the development of new work, and this has ensured some durability of the Shepparton Festival outcomes. The Shepparton Festival has played a major role in changing the face of the arts culture in the region by giving the arts a greater profile and acceptance. In fact, the Shepparton Festival has had an impact on the way Shepparton views “itself” and is viewed by others. Shepparton now hosts a strong annual program of touring professional performing arts events, so the challenge for the Artistic Director and the Shepparton Festival Board is tailoring the program so it reflects the uniqueness of the Shepparton Festival and of our region in a way that will attract local patronage but also patronage from afar.